Latest Update made on November 24, 2016. Allied Market Research predicts that the “Hadoop-as-a-Service” market will grow to $50.2 billion by 2020. The Global Hadoop Market is anticipated to reach $8.74 billion by 2016, growing at a CAGR of 55.63 % from 2012–2016. Wikibon’s latest market analysis states that- spending on Hadoop software and subscriptions accounted for less than 1% of $27.4 billion or approximately $187 million in 2014 in overall Big Data spending. Wikibon predicts that the spending on Hadoop software and subscriptions will increase to approximately $677 million by the end of 2017, with overall big data market anticipated to reach the $50 billion mark. Big Data and Hadoop are on the verge of revolutionizing enterprise data management architectures. Cloud and enterprise vendors are competing to venture a claim in the big data ‘gold-rush market’ with pure plays of several top Hadoop Vendors. 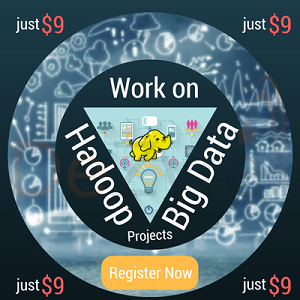 Apache Hadoop is an open source big data technology with HDFS, Hadoop Common, Hadoop MapReduce and Hadoop YARN as the core components .However, without the packaged solutions and support of commercial Hadoop vendors, Hadoop distributions can just go unnoticed. Most of the Hadoop vendors provide technical guidance and assistance that makes it easy for customers to adopt Hadoop for enterprise level tasks and mission critical applications. Hadoop vendors promptly act in response whenever a bug is detected. 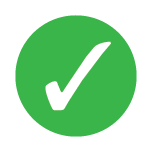 With the intent to make commercial solutions more stable, patches and fixes are deployed immediately. Hadoop vendors couple their distributions with various other add-on tools which help customers customize the Hadoop application to address their specific tasks. 10) Dell- Cloudera Apache Hadoop Solution. Disclaimer : This list of hadoop vendors is not categorized based on the order of popularity. AWS EMR handles important big data uses like web indexing, scientific simulation, log analysis, bioinformatics, machine learning, financial analysis and data warehousing. AWS EMR is the best choice for organizations who do not want to manage thousands of servers directly - as they can rent out this cloud ready infrastructure of Amazon for big data analysis. DynamoDB is another major NoSQL database offering by AWS Hadoop Vendor that was deployed to run its giant consumer website. Redshift is a completely managed petabyte scale data analytics solution that is cost effective in big data analysis with BI tools. Redshift has costs as low as $1000 per terabyte annually. According to Forrester, Amazon is the “King of the Cloud” - for companies in need of public cloud hosted Hadoop platforms for big data management services. The latest reports disclose that, the operating income of AWS division is higher than its core business in North America - which is $604 million, compared to the $588 million income of the business in North America. The scorecard shows, Amazon web services revenue was up to $2.57 billion — ahead of the $2.53 billion that analysts were expecting. That’s up from $1.57 billion in the same quarter a year ago, a jump of about 64%. Principal Analyst of Forrester, Mike Gualtieri said "Where the open source community isn't moving fast enough, Hortonworks will start new projects and commit Hortonworks resources to get them off the ground." Cloudera Hadoop Vendor ranks top in the big data vendors list for making Hadoop a reliable platform for business use since 2008.Cloudera, founded by a group of engineers from Yahoo, Google and Facebook - is focused on providing enterprise ready solutions of Hadoop with additional customer support and training. Cloudera Hadoop vendor has close to 350 paying customers including the U.S Army, AllState and Monsanto. Some of them boast of deploying 1000 nodes on a Hadoop cluster to crunch big data analytics for one petabyte of data. Cloudera owes its long term success to corporate partners - Oracle, IBM, HP, NetApp and MongoDB that have been consistently pushing its services. The below image illustrates comparison of the top 3 Hadoop vendors that will play a deciding role to make a better choice. Microsoft is an IT organization not known for embracing open source software solutions, but it has made efforts to run this open data platform software on Windows. Hadoop as a service offering by Microsoft’s big data solution is best leveraged through its public cloud product -Windows Azure’s HDInsight particularly developed to run on Azure. There is another production ready feature of Microsoft named Polybase that lets the users search for information available on SQL Server during the execution of Hadoop queries. Microsoft has great significance in delivering a growing Hadoop Stack to its customers.Microsoft Azure’s HDInsight is public-cloud only based product and customers can not run on their own hardware with this.